Because Your Dog Deserves a Spa Treatment, Too! 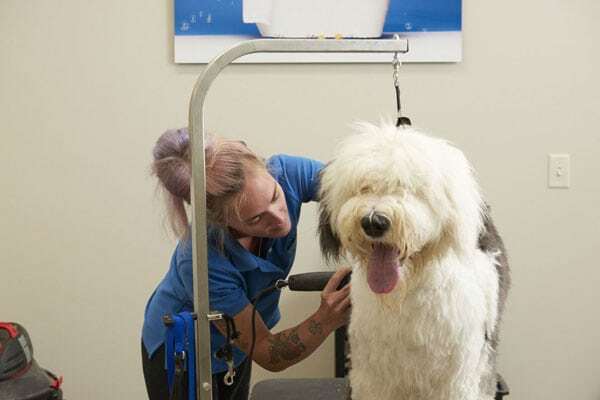 The team at Bark City believes our furry guests are just as entitled to a day at the spa as their owners, which is why we offer an extensive list of grooming services for dogs of all sizes and hair types. In addition to full cuts/washes and baths, your dog can enjoy à la carte grooming services such as nail trimming, teeth brushing and more. For our customers’ convenience, grooming appointments can be made online or by calling us. *Prices for cats are the same as small dogs. *Any spa-related purchases in the boutique are subject to a 25% discount following any spa treatment. At Bark City, we know that no two dogs are one and the same. 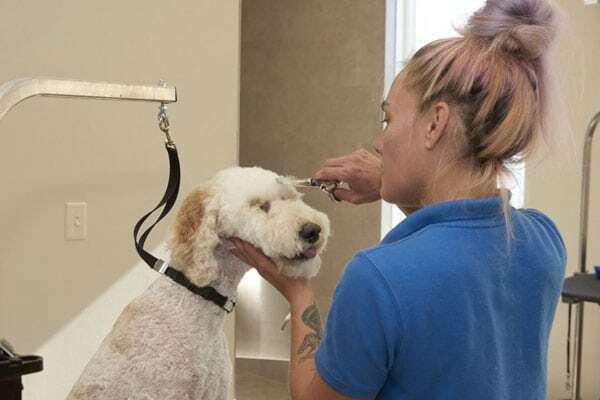 Our expert groomers approach every one of our guests in a unique manner, taking note of characteristics such as hair texture, special dental care needs and a multitude of additional factors. We offer grooming services that are truly unmatched in the Manchester area, as well as a promise of quality with each visit. If your dog has special needs of any kind, we’ll do our best to accommodate during their time in our salon. After all, a clean dog is a happy dog! It’s time to clean up your pup. Contact us today to learn more about our grooming services.